Should You Fall for a Rabbit or a Tiger? Are you dating a Snake? Normally that wouldn’t sound so good, but it just might be when you look to the Chinese zodiac to make a love match. 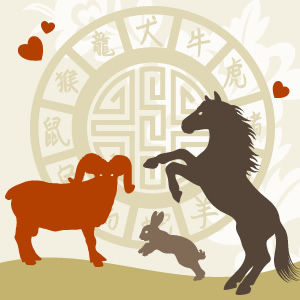 Find out how your animal signs match up with our FREE Chinese Compatibility Meter!